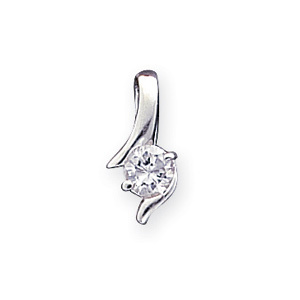 Sterling silver cubic zirconia pendant with snake chain. Length: 18in. Weight: 5 grams. Measures 9/16 inch tall by 1/4 inch wide. I bought this as a graduation gift for my daughter. She loved it and so did I.